For imaging organizations striving to become data-driven, the question of whether to build or buy an analytics solution will fundamentally shape your strategy. Matt Dewey, CIO of Wake Radiology in North Carolina, is a pioneer in the field of empowering imaging leaders with data. Before joining Wake Radiology, Matt spearheaded a project to create an enterprise data warehouse (EDW) as the foundation for his previous organization’s analytics and reporting capabilities. Having been down that path, upon joining Wake, Matt chose instead to partner with Vital Images to provide a full suite of powerful analytics tools, purpose-built for supporting the management of imaging businesses. In this video – the first in a series – hear the lessons Matt learned from his experience building an EDW and why he later chose Vital’s solution for his new organization’s analytics needs. To Build or Buy an Analytics Solution? 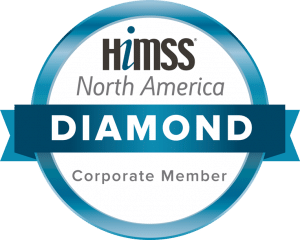 (Part 1/8) Interview with Matt Dewey – CIO, Wake Radiology.